I have been on a quest for a small and leightweight jazz amp for some time now. I have owned a Polytone for many years and have tried out several other amps by Ibanez, AER, ZT Amps and Roland (see other posts in my Blog). None of them struck me as better than what I have been playing for years, a Polytone Mini Brute IV. I have been reading rave reviews of the Henriksen Jazz Amps on the internet for several years now but never had a chance to play one myself. The stores in my area do not carry them and probably would not know about it anyway. In fact, the only store in the Netherland that is importing them is Casa Benelly, which is in The Hague. I am most grateful to them for allowing me to test drive it for a few weeks and to finally enable me to write a review on it. I'd like to thank Toon Evers from Casa Benelly and Aug Oddens from Casa Benelly Import for their help. The first thing that struck me when I unpacked it was that it was slightly bigger than I thought it would be. It is not THAT small and THAT light. I had asked for the Jazz Amp 112, which carries a 12” speaker so, as I realized quickly, it cannot be anything like the AER Alpha for example. But my old and trusted Polytone Mini Brute IV is even slightly bigger and heavier, due to its 15” speaker. 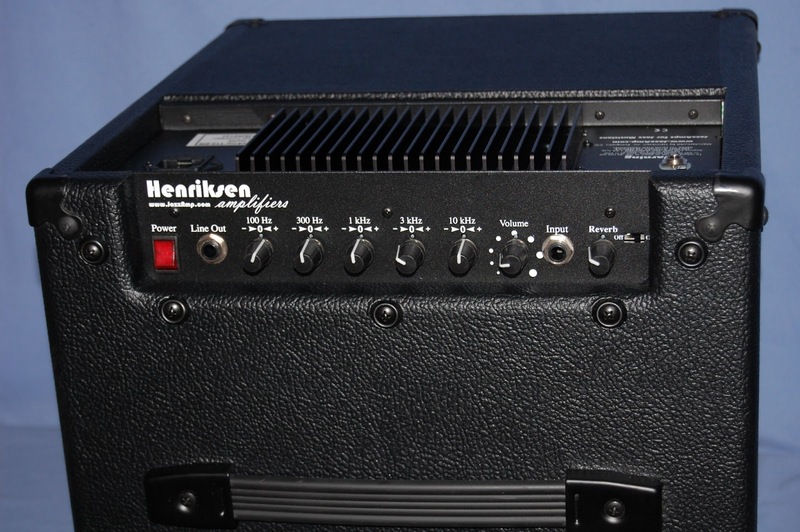 The Henricksen Jazz Amp 112 ER (Extended Range) weighs 35 lbs and its size is 14" x 15 " x 13". That makes it reasonably portable but hardly the lightest and smallest amp around of course. According to its makers, the idea behind the Henriksen Jazz Amp is that it will reproduce your guitar’s sound faithfully. 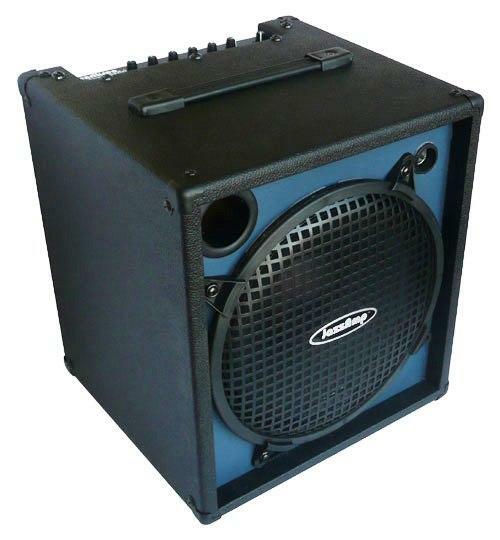 The presumption is that the amp should only make the sound louder but not alter it. Therefore the conventional tone circuitry has been eliminated completely and instead a 5 band graphic EQ was added, not to color the tone but simply to adjust the amp to the environment the guitar is played in. You can increase or decrease any of the 5 bands by 10DB. It is claimed the EQ does not affect frequencies outside its band so that the amp remains “un-toned.” Well, I did not really measure this of course so how true this is I will leave up to more technical reviewers. The ER in this model stands for “Extended Range.” The 5 band EQ goes from 100 to 10Khz, due to the fact that it carries a Tweeter (that you can switch on and off by the way). This makes it the most versatile amp in the Henriksen range of models. You can even play a string bass or flattop through it, switching the Tweeter on or off according to the required sound range. It’s a simple amp. It has a 5 band EQ, an input, a line out, a, Tweeter and reverb (with on/off switch) and an extension speaker jack. The fewer knobs, the better in my book. The reverb is so so by the way but good enough for me. I took it to the Crow for a jam session and there I did have to tweak the sound a bit to cut through. But the amp had no problem whatsoever with the higher volume. It shouldn’t because it is said to deliver 120 watts. Still, you will need to experiment a bit with the EQ settings to adjust to the room and to retain the amp's mellowness. Because I did not have time to properly experiment in different live situations, I kind of preferred the sounds I heard at home but I am sure louder gigs are no problem for this amp and if you take the time to experiment with the EQ it WILL work on any stage. I am not sure the Henriksen beats my Polytone in louder settings though. So do I like this amp? Heck, yes! Especially for those that seek a classic and mellow jazz guitar tone from a smaller combo amp that can handle most stages, this might be a really attractive and affordable alternative. In my quest until now, the Henriksen Jazz Amp 112 ER definitely takes the top position sound wise in lower volume settings. It just sounds sweet and lovely. In the following clip I recorded my Gibson Tal Farlow through the amp with my camcorder standing a few meters from the speaker. The vid shows 3 improvisations on the progressions of "Body and Soul", a "Minor blues" and "Tangerine." It's a bit lofi but I think the vid gives a good idea what it sounds like. You can compare the Henriksen with my Polytone in this clip of "Pent Up House", which was recorded in the same way. I find the sounds not totally different but you have to bear in mind that my Polytone has a 15" speaker whereas the Henriksen carries a 12" one! 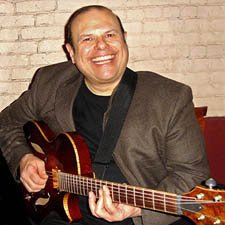 I have known NYC based jazz guitarist Joe Giglio for years. A great guitarist and ... a really nice and funny guy to boot. I first got to know about him via newsgroups but, more recently, I have followed him as a Facebook friend. 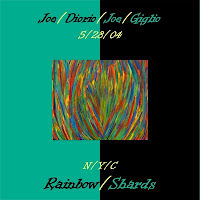 Joe has several CDs out and writes a monthly column for Just Jazz Guitar Magazine. But let's first hear him bop out on a live take of "Donna Lee." 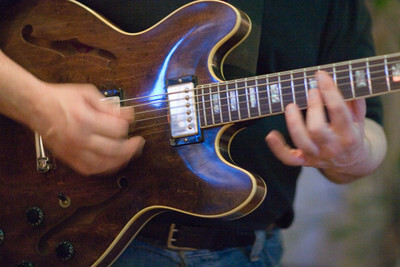 Do you make a living playing and teaching jazz guitar? Yes I do. Over the years the balance between gigging & teaching has shifted a few times. In the early 1990s it was 50-50; now it is 85% teaching & 15% gigging. Do you prefer one to the other? I truly love them both. My ideal balance would be 10 engaging students, & 3 appropriate-paying gigs. I wouldn’t mind if one of those gigs was a little more varied than the typical jazz gig, as I like playing rootsy music of many types. How long have you been playing guitar and at what age did you first get into guitar playing? It has been 40+ years of playing, beginning at age 10. Prior to that I played the Tennis Racquet, the Piano, the French Horn, & the Tennis Racquet. Was it jazz right from the start? Did you have any formal education in jazz? Yes. I have a Masters Degree from Purchase College in Jazz Performance. I also studied intensively with pianist Sal Mosca which was much more stringent than music school, I must say. Do you recall a particular practice routine when you were a jazz guitar student? I had several. There was the famous OCD Routine, whereby I would get up at 8am & practice everything I could think of until Noon, Then at 1pm I would practice everything I could think of until 6pm, then I would practice extra technique exercises (scales, picking, arpeggios, etc), while watching TV from 8-10pm. Needed meds BADLY! Which jazz guitarists had an influence on your playing? All of them: good & bad. Mostly though it was: Jim Hall/Wes Montgomery/Larry Coryell/Joe Pass/Grant Green/Pat Martino. When and where did you start gigging? I was 12 years old-The Davenport Beach & Tennis Club-we played songs by Cream, The Seeds, The Beatles, The Stones, B.B. King – BADLY! When did you start singing and how does the combination work? I started singing I am told, at age 3, & never stopped. I love singing as much as guitar playing & that is a whole whopping lot! I enjoy the combination of playing & singing very much – it is truly my winning combination! And when did you start composing? I began composing at age 12 – in a juvenile way I am sure. By age 16 I was writing some memorable songs, 2 of which I still play. Once I started playing Jazz my composing became mostly instrumental. It is amazing & horrible. Amazing in that I can play with some of the world’s best musicians – horrible in that there are very few gigs. NYC is so expensive at this point that a trip to the grocery market is like going to Tiffany. Regarding the competition, for me it is like this: I don’t compete in the traditional sense-fortunately I have matured out of that. The fact is though, that with NYC being mistakenly thought of as a Music Mecca, everyone comes here to make it, & those people are willing to play for free, or actually will ‘pay to play’. They also are willing to teach for peanuts. Most are supported by parents back home, & live in apartments with many roommates. That is the competition. It is not musical, it is simply a matter of a body count. Could you highlight some milestones in your jazz career? What recordings that you made do you like especially? 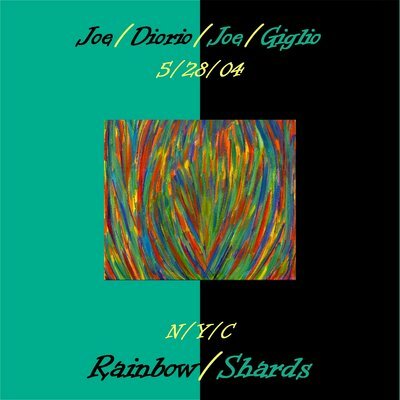 ‘Sound Scape’ – duo with Saxophonist Jimmy Halperin; & ‘Rainbow Shards’ – duo with Guitarist Joe Diorio, are two that I really like. You have played with so many big names. Any anecdotes or stories you would like to share? Your Top 5 jazz guitar albums are … ? ‘Intercontinental’ – Joe Pass; ‘Live’ – Pat Martino; ‘The Wes Montgomery Trio’ – Wes Montgomery; ‘Where Would I Be’ – Jim Hall; ‘The Bridge’ – Sonny Rollins (w/Jim Hall). What gear are you currently using (amps, guitars)? I mostly play a ‘Forshage Ergo’, which is a headless semi-hollow electric; a 1970 Gibson ES-330-Longneck (heavily modified); a G&L ASAT-Blues Boy. Amp-wise I alternate between a Polytone ‘Mega Brute’ & a ZT ‘Lunch Box’. I also employ Korg ‘Pandora’ & Zoom multi-effects units. What is your approach to teaching jazz guitar? I make sure that a student is a good ‘guitarist’ first, then we learn about melody, harmony, phrasing, comping, singing-transcribing. What educational “path” would you recommend to an aspiring bop guitarist? Don’t go to music college unless you are wealthy or have a full scholarship. It is impossible to pay back those massive student loans working as a musician. What music are you listening to today (guitarists or non-guitarists)? What is your favourite jazz guitar place on the internet? 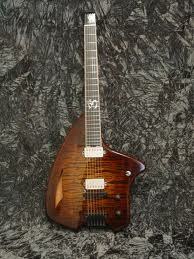 On YouTube I often happily visit: ‘MrBebopguitar (a.k.a. Dutchbopper or Jazzerman)’. Your favorite YouTube jazz guitar vid? Who are your favourite European jazz guitar players? Any future plans we should know about? I plan to keep on keepin’ on…!